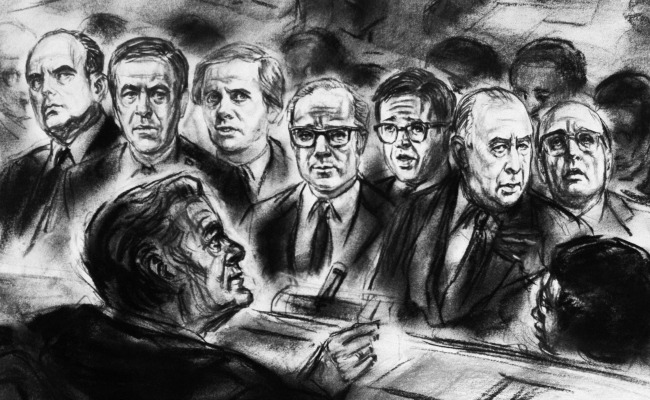 Court Room sketch of scene in the Watergate cover up trial on March 9, 1974. Judge John Sirica is facing the seven defendants including John Ehrlichman, H.R. Haldeman, Charles Colson, and John Mitchell. 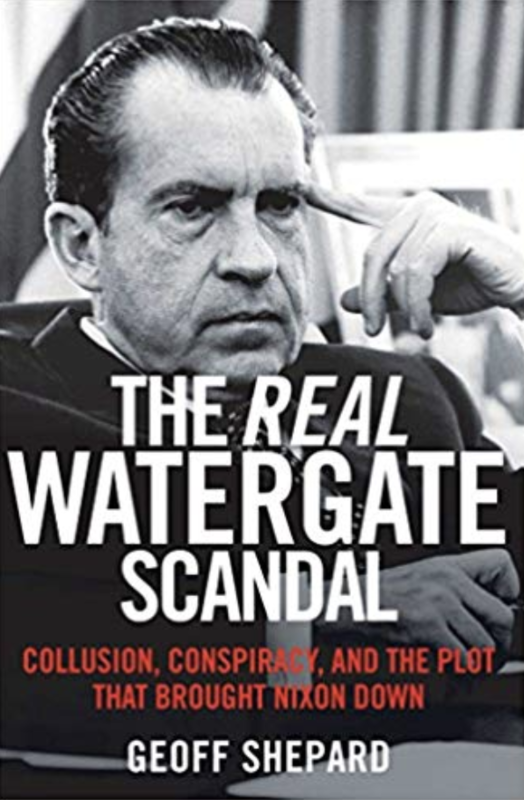 On this edition of the Nixon Now Podcast we explore what became known as the Watergate “Road Map.” In October, Politico reported that Chief U.S. District Court Judge Beryl Howell granted a request to unseal a large chunk of the “Road Map” that a federal grand jury in Washington sent to the House Judiciary Committee in early 1974 as part of the Watergate investigation. Savage, Charles. “Legal Experts Urge Release of Watergate Report to Offer Mueller a Road Map.” The New York Times. 14 September 2018. Gerstein Josh. “Judge orders partial release of Watergate ‘road map.’” 11 October 2018. Transcript of James Vorenberg’s Notes from 31 January 1974 covering the internal workings of the Watergate Special Prosecutor. GeoffShepard.com. Petition by Geoffrey C. Shepard to the United States District Court for the District of Columbia. Motion to Unseal Specific Grand Jury Documents. 15 November 2018.